Is Chocolate the New Brain Food? We've all heard about the healing powers of red wine - in moderation, of course. 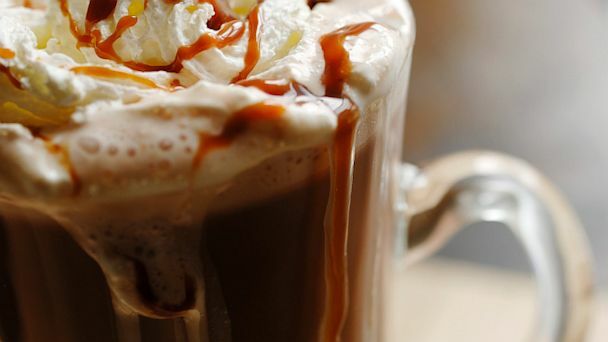 But a new study suggests hot chocolate may be the elixir of choice for older people who want to keep their minds sharp. The study of 60 older adults linked 30 days of twice-daily hot cocoa consumption to a 30 percent bump in memory and thinking abilities among those who had impaired blood flow to their brains. Study author Dr. Farzaneh Sorond, a neurologist at Brigham and Women's Hospital and assistant professor of neurology at Harvard Medical School, said chocolate seemed to boost the brain's blood supply, citing an 8.3 percent increase in blood flow after a month's worth of hot cocoa. "The areas of your brain that are working need more fuel," she said, describing a phenomenon known as "neurovascular coupling," which refers to the intimate link between better blood flow and improved neuronal activity. In people with impaired blood flow, she added, "cocoa may be beneficial by delivering more fuel." While more research is needed to tease out the exact mechanism by which chocolate boosts blood flow, Sorond said that antioxidants and caffeine may certainly play a role. But there's also the possibility that chocolate just makes us feel good. "It stimulates the pleasure centers of the brain," said Dr. Peter McCullough, a consultant cardiologist at Providence Hospitals and Medical Centers in Southfield and Novi, Mich., who was not involved in the study. For those tempted to "self-medicate" with a tasty box of truffles, Sorond and colleagues cautioned that the dietary tweak isn't for everyone. "The people who need this the most," she said, meaning people with diabetes, high blood pressure and tendencies toward vascular dementia, "can't really afford to take in more sugar, fat and calories." "People extrapolate to think more is better," he said, stressing that chocolate contains many substances, including sugar and fat, which may negate any potential health benefits. While more research is needed to reveal the exact link between cocoa and sharper thinking, the study is certainly food for thought for chocolate lovers. But it's important to remember that even if the link holds up, chocolate would not be the only way to maintain a healthy brain and circulatory system. A healthy diet and regular exercise may also boost blood flow to the brain.